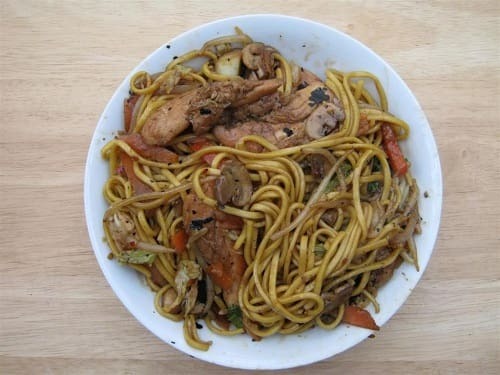 Spray a wok with Fry Light and cook the chicken strips until cooked and browned, remove from the pan, add more Fry Light and cook the veg for 5 mins, return the chicken to the pan, add the noodles and the home made stir-fry sauce, cook for another 5 mins until the noodles are cooked. In a small frying pan, add the ingredients and over a low heat, cook, stirring from time to time to blend, season with salt & pepper. Cook until it thickens then add to the stir-fry after the noodles.